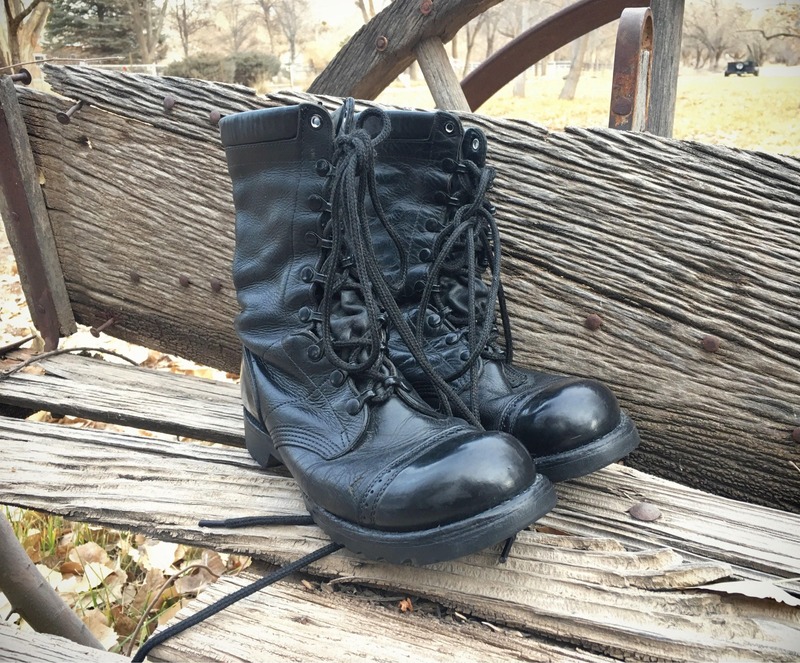 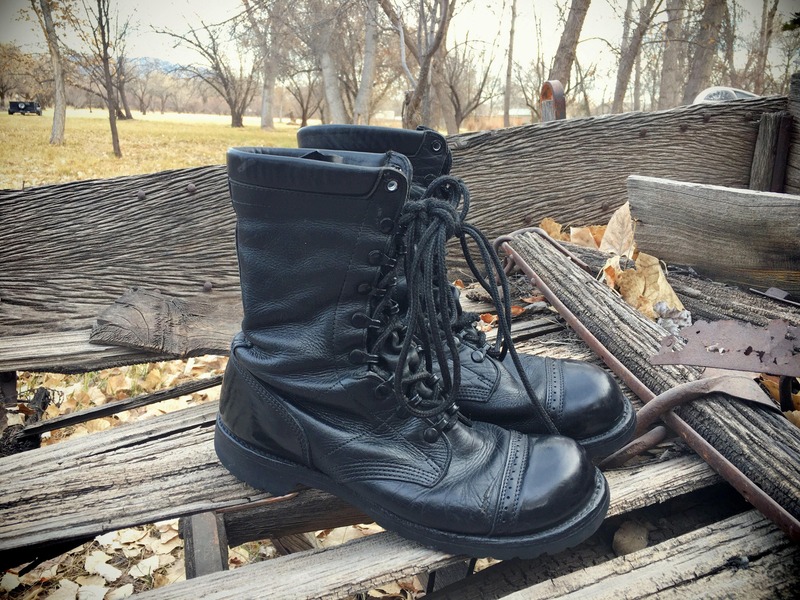 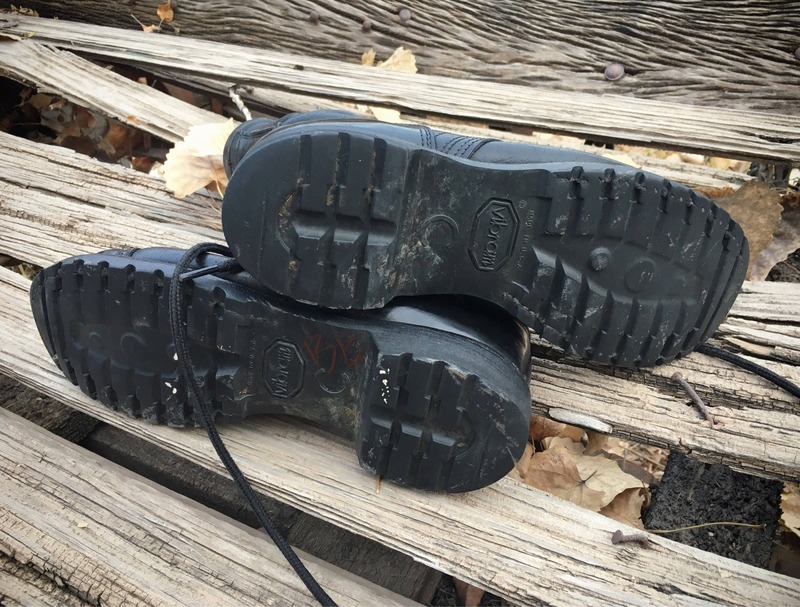 These Made in USA Corcoran black paratrooper jump boots are well weathered and have a patina that only comes with age, wear, and the attention of someone who actually took care of their boots over time. 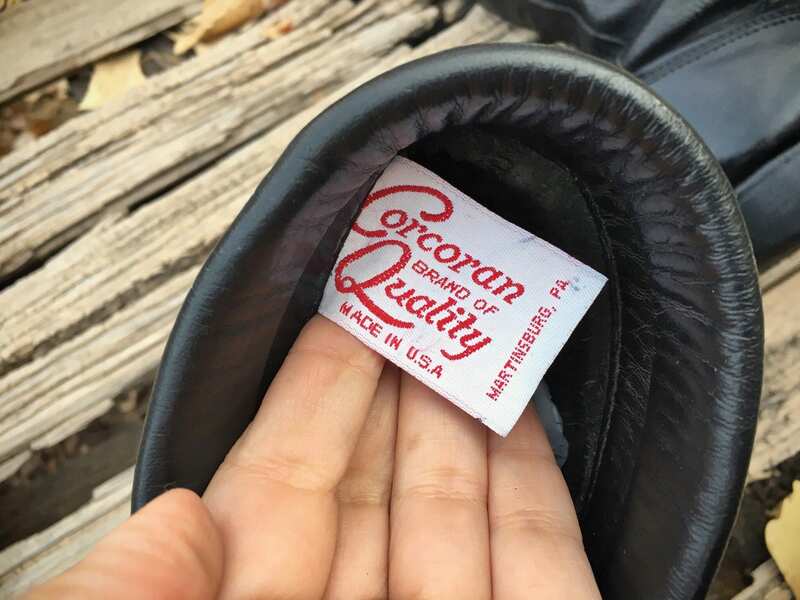 Any markings of size have since rubbed off the raw interior leather walls, which make it hard to determine exactly what size they are, but I believe they are a Men's Size 9 based on comparisons to other vintage Corcoran jump boots. 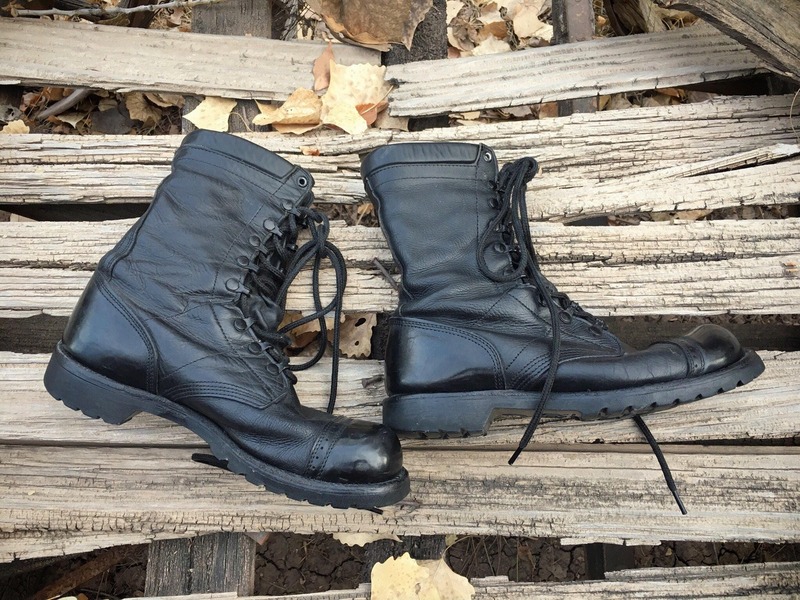 I'd also estimate they are right for a Women's Size 10, and they actually may be running a bit small on both counts. 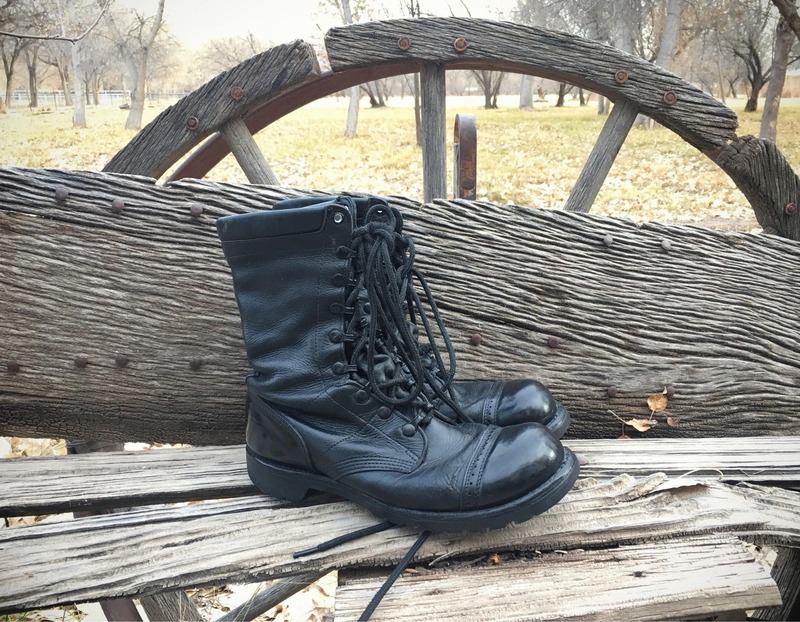 Since I can't guarantee that this is the marked size, best thing to do is to take a pair of your own combat boots (or something with a rubber sole that extends a bit out from the foot bed) and measure that, then compare those to this pair. 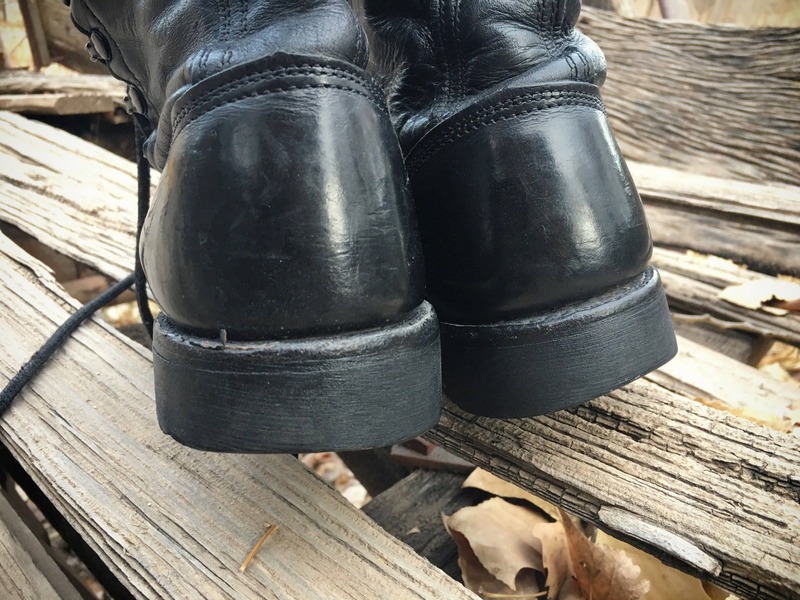 The toes have some scuffing, and the back heel of the sole shows wear. 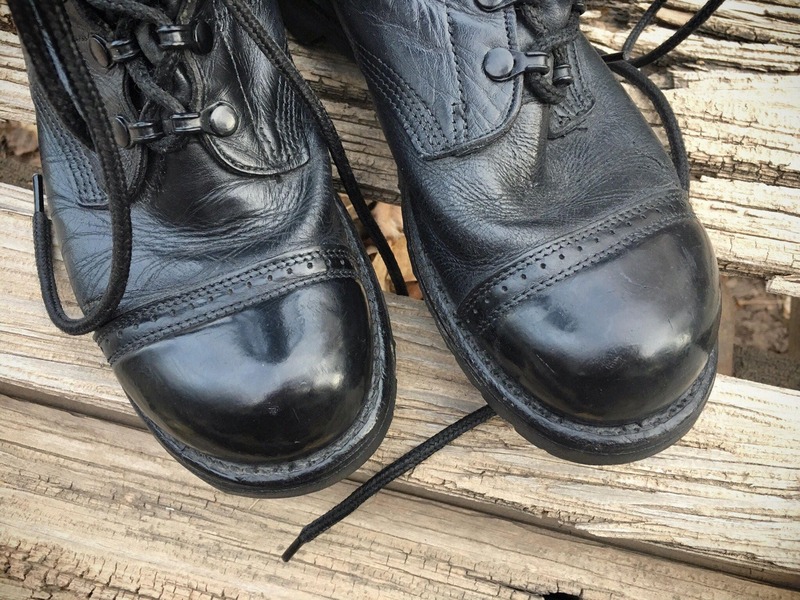 Deep creases will spare the next owner the pain of breaking 'em in, yet that former owner's care will also ensure the boots last for some time to come.